Spend the night on the town with this package deal with the famous robot show ticket and dinner at an izakaya with a unique temari ball interior nearby the robot restaurant. This izakaya has a wide variety of Japanese food that you can enjoy, and there are quite a few time slots available that would work well with your show schedule. This package includes access to a show at the Robot Restaurant and a dinner at Nanairo Temariuta restaurant. 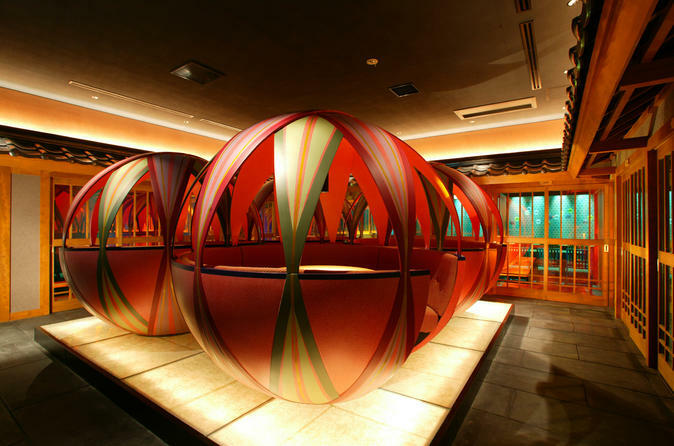 The focus in this restaurant are the round shaped Temari sushi. At the Robot Restaurant, you will enjoy a one-hour cabaret show features a performance by dancing ladies, taiko drummers, ninjas, robots, etc. dancing with lasers and high tempo music. You can first go to dinner and then see the show, or vice-versa (depending on the option you select at the booking - please see the Important Info tab for details on these options).